Cancer is at epidemic proportions around the around the world. In the U.S., 1,660 people are expected to die from cancer every day in 2019;1 in China, 4 people die of cancer every minute, or about 5,760 every day.2 Even though China has a larger population, their rate is still higher than the U.S. In this interview, Dr. Antonio Jimenez, author of “Hope4Cancer: Seven Key Principles to Remove Fear and Empower Your Healing Journey,” shares his philosophy on cancer treatment. Hope4Cancer3 is also the name of his integrative cancer treatment centers, located in Mexico, Colombia and soon, Thailand. A catalyst for Jimenez’s treatment protocol was his father’s diagnosis with Stage 3 prostate cancer in his early 60s. He went on to live for another two decades, and died of heart disease at the age of 82. “The first clinic opened in 2000 in Tijuana, Mexico, which is south of San Diego California,”Jimenez says. “Historically, we know Tijuana has been one of the Meccas of doctors from all over the world coming to treat cancer from a complimentary integrative holistic perspective. So that’s our mother clinic, if you may. Then, in 2015, we opened the second Hope4Cancer Clinic in Cancun, Mexico. We Already Know How to... Bill Sardi Check Amazon for Pricing. Ninety-two percent of Hope4Cancer’s patients arrive with Stage 4 cancer or have severely metastasized cancers. Despite that, a third-party review of 365 randomly selected patient charts reveal the center has a 76 percent two-year survival rate, and extrapolated data suggests their five-year survival rate should still be in the 70-percent range. As noted by Jimenez, “six of these principles, with the exception of nontoxic cancer therapy, apply to all of us. The treatment is really in the prevention.” Hope4Cancer also offers at-home treatment follow-up, which is really critical. Patients typically stay at the treatment center for three to six weeks, but that doesn’t mean they’re cured in that time. During their stay, they are given a customized program and learn how to implement it. But they still have to keep it up once they get home. In some cases, conventional cancer therapies will also be employed. “Following these seven key principles is so important in integrating a truly holistic effect program,” Jimenez says. “That said, we’re medical doctors. I’m a naturopath also. Oftentimes, we have to do some conventional therapies to stop this aggressive tumor burden. If a patient comes, for example, with a Pancoast tumor — this is a tumor in the upper part of the lung — it blocks the circulation to the brain. If you don’t give them spot radiation, five sessions, to decrease that, the patient’s not going to live. There are few, but there are some specific indications for radiation. 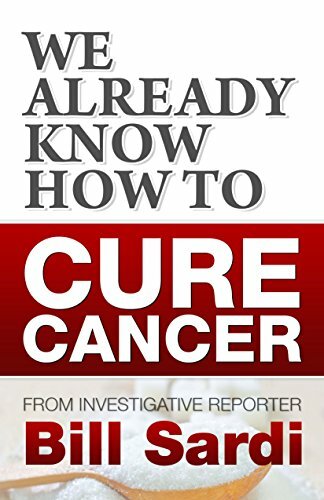 Hope4Cancer incorporates almost all of the principles I know to be useful, and some strategies I was not aware of. Jimenez and I both belong to the Academy of Comprehensive Integrative Medicine (ACIM), which is where I first met him. Thomas Seyfried, Ph.D., one of the greatest cancer biologists in the world, whom I’ve interviewed twice, is also a member. Jimenez stresses a “garden food plan” that focuses on whole, non-GMO foods that are easy to digest. While I do not recommend veganism, if you have aggressive, terminal cancer, it would probably be wise to avoid animal protein for a time and focus on lighter foods that do not trigger inflammatory responses. Avoiding lectins may also be advisable, as they too are known to cause inflammation. “In my experience, cancer patients’ immune systems are of utmost importance. We know the reasons for that. Cancer cells like to evade the immune system. We can have an optimal immune system, but cancer steals cells. This is one of Seyfried’s hallmarks of cancer. Cancer cells have found a way to shield or cloak themselves from being seen by the immune system,” Jimenez says. “A tumor has two types of cells. Non-stem cancer cells make up about 99 percent of all the cells in a malignant tumor, lymph node nodule or mass. The 1 percent are called cancer stem cells. They exist in the primary tumor. In the primary tumor, these are of the epithelial variant. They’re epithelial cancer stem cells. They leave the primary tumor, going to the extracellular matrix and then penetrate into the blood flow. This is how most cancers spread … They transition from epithelial to mesenchymal stem cells. In that way, they can penetrate the blood vessel wall. Once they’re in the circulation, that’s when we call them circulating tumor cells, because now they’re circulating freely in the blood supply. These circulating tumor cells then form an embolus or a cellular arrest that fixates itself to the inner wall of the blood vessel. Now there’s a second transition from mesenchymal to epithelial cancer stem cells, and when they exit the blood vessel, they lead to metastasis — the breast cancer going to the liver, to the lung, to the brain and to the bone. What’s interesting is that 80 percent or so of the research that goes on in cancer is on the primary tumor. But what is the cause of demise of a cancer patient? Seldom, with few exceptions, is it the primary tumor. It’s the metastatic activity. We have that inverted. We should be spending more funds and more energy on the metastasis process, not the primary tumor. The basic concept of cancer as a metabolic disease is that cancer cells are distinctly metabolically different from healthy cells. They have dysfunctional mitochondria, which could be due to a variety of reasons but typically oxidative stressors. Because of that, the mitochondria in cancer cells are unable to burn fuel normally, using oxygen, even though oxygen is present. Instead, they revert back to fermentation to produce energy, which is relatively inefficient but allows the cancer cells to survive and divide. Metabolic therapies take advantage of this characteristic and essentially starve the cancer cells of their fuel, which is primarily glucose, but also glutamine, an amino acid found in proteins. The way you do that is by significantly lowering your blood glucose, typically through fasting or partial fasting. This also raises your ketone level, which, aside from being an ideal and preferred fuel for most healthy cells, are also anti-inflammatory. Once you’ve done that, other therapies can be integrated, such as hyperbaric oxygen, ozone and insulin potentiation therapy (IPT), the latter of which drives your blood sugar even lower to further starve those cancer cells. Jimenez also emphasizes the use of light. Red light also increases oxygenation at the tissue level [and] healthy microcirculation. Green light decreases blood viscosity, which is that clumping of cells so that the red blood cells are not able to transfer oxygen to the tissue. Also, we see increased cellular energy, increased mitochondrial function with green light. We use blue light to increase nitric oxide production [and] enhance telomerase activity … Cancer patients have shortened telomeres. As we age, those telomeres decrease in size. With blue light, it’s been shown to elongate these telomeres. Jimenez also uses light therapy in conjunction with fasting, IPT and low-dose chemotherapy, as many chemotherapeutic agents are photoactive substances as well. “When you’re doing the IPT process, in one vein you have two catheters going. “Intravenously, we bypass the gut. We use anywhere from 3 to 9 grams of amygdalin or laetrile B17 in an IV infusion. It’s still that workhorse in cancer therapy. I remember when I started working in integrative oncology in 1988. 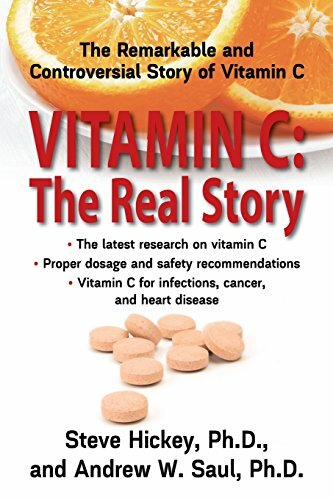 We used laetrile, nutrition and, oftentimes, shark cartilage … And many patients got well. 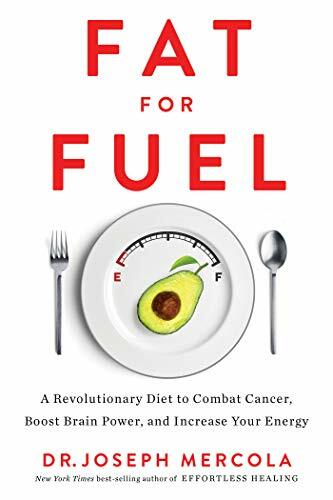 I am currently in discussions with Jimenez, Travis Christofferson, author of “Tripping Over the Truth: The Return of the Metabolic Theory of Cancer,” and Seyfried to establish an advanced metabolic therapy at the Hope4Cancer clinics. While it would be useful for any stage of cancer, it would clearly work much better if the person has never received chemotherapy or radiation therapy. Sadly, most of the patients at the Hope4Cancer clinic are already Stage 4 and have received these toxic interventions. The hope is to get more recently diagnosed patients who have yet to receive these immune-busting therapies that typically limit their chance for survival. “Please avail yourself to this book. We talk about the fundamentals of cancer and healing. We talk about cancer. What causes it? How can we diagnose, screen and track it? And then we go into therapies. It’s quite a combination of many, many years of work, experience and travelling the world,” Jimenez says. You can also find a lot of educational material on the treatment center’s website, Hope4Cancer.com. A printable PDF summarizing the seven key principles of cancer therapy6 can be found there as well. Consultations are free. The center will also discuss treatment options with your oncologist, should you desire that. The center’s admission counselors even have lists of patients who have given their permission to give out their names and contact information, so you can actually talk to someone who’s been through the program and made the journey. Seventy-five percent of the patients at the Hope4Cancer Treatment Centers in Mexico (Tijuana and Cancun) are from the U.S., and both locations have English speaking staff. About 10 percent of patients come from Canada, and the remainder come from all over the world. “Very importantly, we cannot forget those patients who are in so-called remission or watchful waiting. This is when you really have to be proactive, because what are they waiting for? For the cancer to show up again in a PET scan or a CAT scan? This is where you really have to take hold of the seven key principles [and do the] photodynamic, infrared spectroscopy test to look for circulating tumor cells, and then treat them,” Jimenez says.